Konfidence.in is committed to protecting all information collected from the user explicitly or implicitly. This includes the personal data that the User enters in the registration form, the order details form, newsletter subscription form, as well as the browsing behavior collected from the User’s browsing. The Credit Card or Net banking or Payment details are secured by the Payment Gateway, and we do not record this information at our end. We commit not to disclose Users information to any third party, or misuse the information. Our site's registration form requires users to give us contact information (like their name and email address). 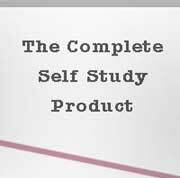 The site uses an order form for customers to request information, products, and services. We collect visitor's contact information (like their mailing address, email address and phone number) and financial information (like their account or credit card numbers). Contact information from the order form is used to process the orders for our customers. The customer's contact information is used to get in touch when necessary for processing the order. We may also send out newsletters and offers and discounts emailers, and greetings at paced out times. Users may opt-out of receiving future mailings; see the choice/opt-out section below. Financial information that is collected is used by the payment gateway to bill the user for products and services. Financial information is not stored in the databases or files of Konfidence.in. The Financial data security is provided by the payment gateway host. This site has security measures in place to protect the loss, misuse and alteration of the information under our control. All our data is secured by passwords and security policies and practices. This site contains links to other sites. 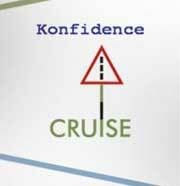 Konfidence.in is not responsible for the privacy practices or the content of such Web sites.